This one is actually pretty stock, and I'm not complaining. It's got some after market rollers, and I think I spy an aftermarket exhaust in the back. Now a lot of people just do wheels and exhaust (sometimes just axel-back) and stop there. There could be other stuff under the hood, but I can't tell. Even the ride height looks close to factory. The reason I think that is ok, is that not every car needs to be built ready to take the fastest lap at Tsukuba. There is more than enough room in the car world for there to be really nice, stock or near stock vehicles. We need vehicles in this condition to pass the information on to the next generation. But like I said, it may have more tuning under the hood, but if it was, I'd say it's not very much. 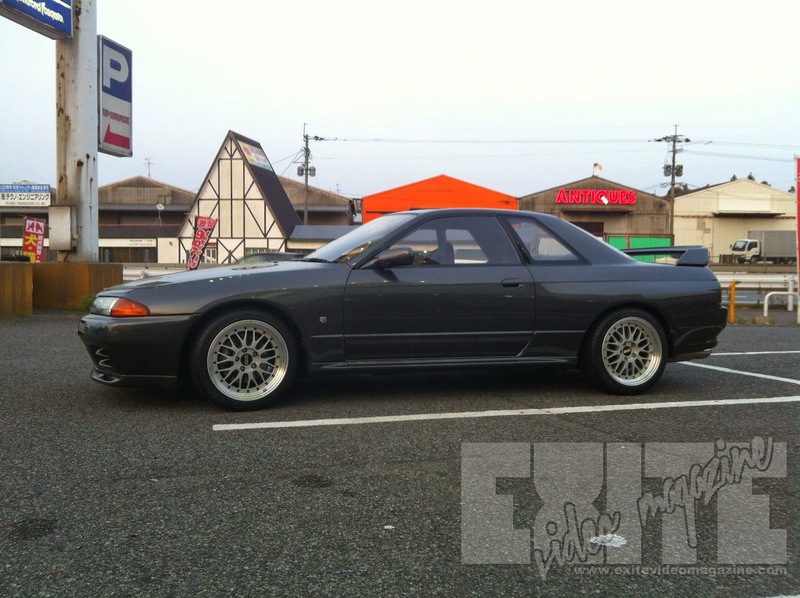 The trend I've noticed in Japan with a lot of GT-R owners is that the body work usually stays pretty stock. And with the cost of tuning parts for the RB, I can see why. Another reason not to do much to the exterior is....does it really need it? These cars look beautiful as is. Sound off in the comments below... What is ONE thing you would change on this car, from what you can see?